Our latest post takes us to Detroit, a city marked by a history of innovation, a currency of blight, and a future painted with question marks. 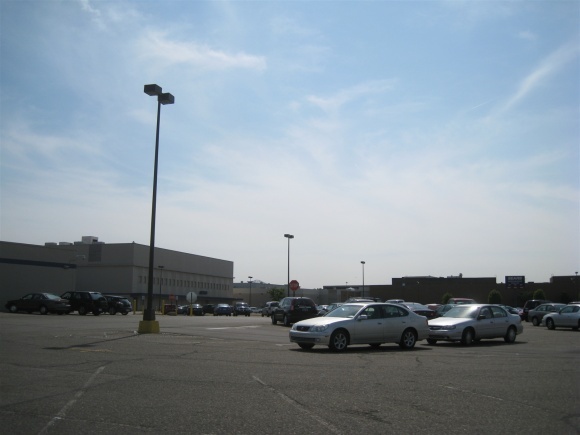 As one of the country’s most auto-centric large cities, the Detroit area relied heavily upon a model of development favoring shopping malls and suburban sprawl from the very beginning. This isn’t surprising, considering the city invented the modern automobile production process; it seems very fitting the development patterns would favor cars and lower-density development. Even the city itself, as derelict as it is today, is unlike other eastern cities in that it is not at all dense away from its downtown core, owing to the automobile mantra of its development: numerous small single family homes for blue collar auto workers, and a good network of inter-urban freeways connecting them to their jobs via automobile. This all happened even before the suburban explosion changed the way Detroit was forever. The Detroit metropolitan area became dramatically over-retailed as socioeconomic processes such as White Flight dovetailed with the region’s auto manufacturing success following World War II, establishing booming suburban areas, mostly in Macomb and Oakland counties to the north of the city, and in west suburban Wayne County, the county containing Detroit. As time went on, Detroit went fallow as investments neglected the city while the suburbs blossomed and flourished. Whites moved up and out of the city to better suburbs, as impoverished blacks had to remain in the city while its infrastructure crumbled. 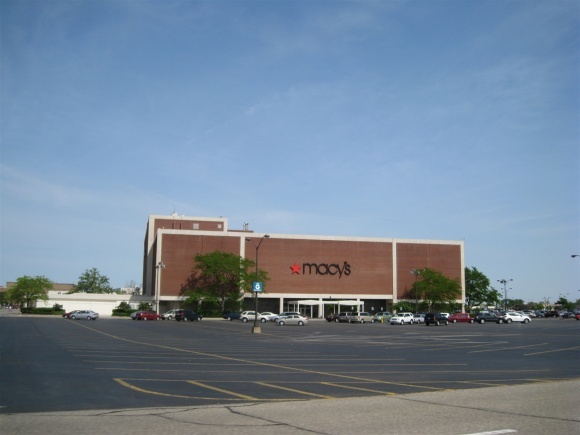 These processes began to act on metro Detroit so early and with such fervor that few large-scale retail developments were ever even constructed in the city itself. 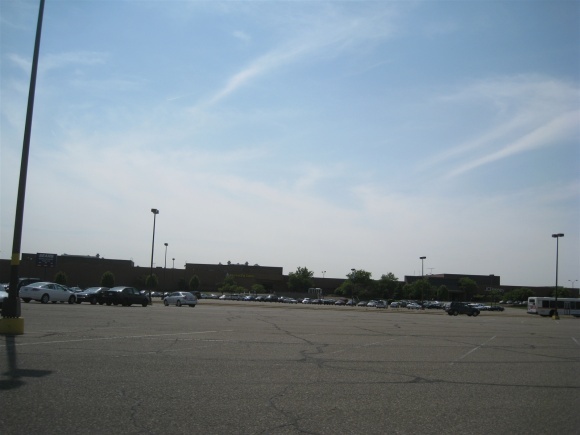 There is certainly nothing resembling a traditional mall in Detroit, and the few retail developments that do exist are mostly along Telegraph Road in the far northwest part of the city, or along the southern half of 8 Mile Road, which marks the northern border of the city. 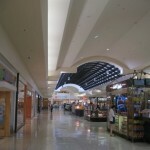 Nearly all of the large-scale retail development has occurred in the suburbs. It’s fascinating to me how segregated the Detroit metropolitan area is, with an economic racial disparity to boot. The two counties representing north suburban Detroit, Oakland and Macomb, are ten percent and three percent black, respectively, while the city of Detroit is 83 percent black. The per capita income in the city of Detroit is $14,000 while the per capita incomes in Oakland and Macomb Counties average $28,000. Hugely similar disparities exist in similar ways for crime, access to education, access to jobs, etc. I realize this is a retail blog, but a socioeconomic history is always visible in the built landscape over time, and it informs the way retail sites behave too. In keeping with its auto-centric theme, and similar to how many suburbs nationwide were constructed, most of Detroit’s suburbs were built with automobile commuting in mind. However, as growth in the region slowed due to economic factors and competition in the auto industry, so too did the demand for retail in the region. 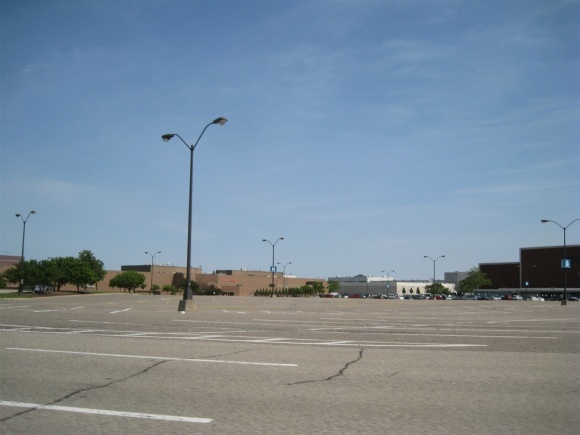 In the past ten years or so, metro Detroit has lost at least four major regional or super-regional shopping malls, in addition to at least as many enclosed neighborhood centers. As a whole, metro Detroit is shrinking, having lost 3.5% of its population since 2000, one of only five of the fifty largest U.S. metropolitan areas to shrink during that time period (Pittsburgh, Cleveland, Buffalo, and New Orleans were the others). However, most of these losses occurred in the city of Detroit; all other counties in the Detroit region have reported gains in population. 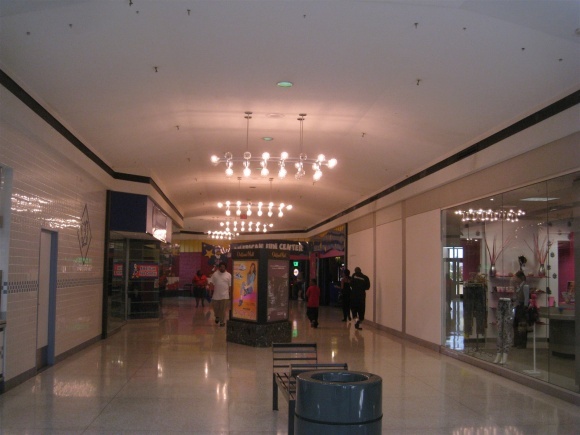 Whether you happen to mourn the loss of these shopping malls or celebrate their demise in the eyes of progress, I think most people can agree that these places provided a solid foundation for memories and community-building for at least a couple generations of Detroiters. After all, they were/are the de-facto downtowns that most of these suburbs lack. 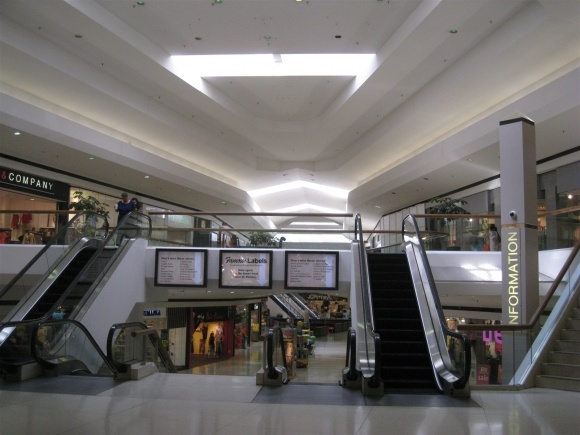 For this post, we’re going to stray from the failures in the market for once and instead focus on a success: Oakland Mall. 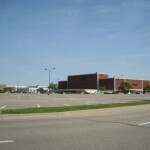 Oakland Mall opened in 1968, flanking the northwest corner of 14 Mile Rd. and John R. Rd., adjacent to Interstate 75, which was completed just prior to the mall’s construction. 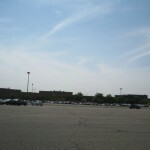 The mall was built on the southern edge of the city of Troy, a large northern suburb of Detroit located in Oakland County, the mall’s ostensible namesake. 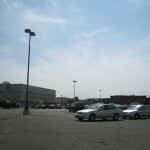 Troy is located 15 miles north of downtown Detroit, and has a population of 80,000 as of 2010. Troy is home to numerous corporations and white collar jobs that have been purged out of the city over the past fifty years or so. 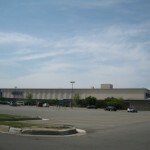 Oakland Mall originally opened as a smaller dumbbell shaped mall, anchored by Detroit-based stalwart Hudson’s on the western end, and Sears on the eastern end. A Detroit-based S.S. Kresge store was in there somewhere too. 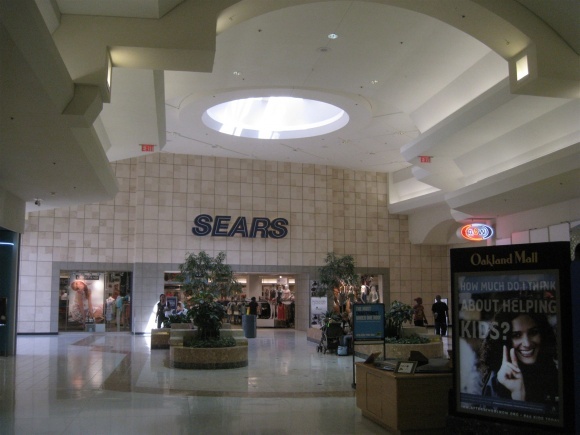 Sears actually pre-dates the mall, having opened in 1965 as a standalone store. Developers must have seen the centralized location and recent opening of I-75 as a no-brainer. 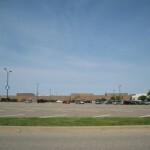 In addition, Wrigley Supermarket flanked the north side of the mall in between the two anchors. 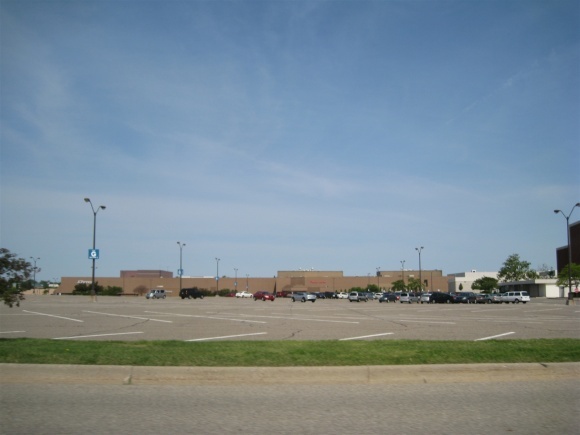 One year later, in 1969, a small upscale mall called Somerset Mall opened about 5 miles away, also located in Troy. Anchored by an existing Saks Fifth Avenue store which opened in 1967, the small mall was also anchored by Bonwit Teller. 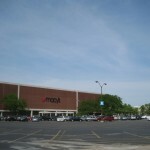 This mall and Oakland Mall have both thrived in Troy ever since, despite massive expansion efforts on the part of both centers. 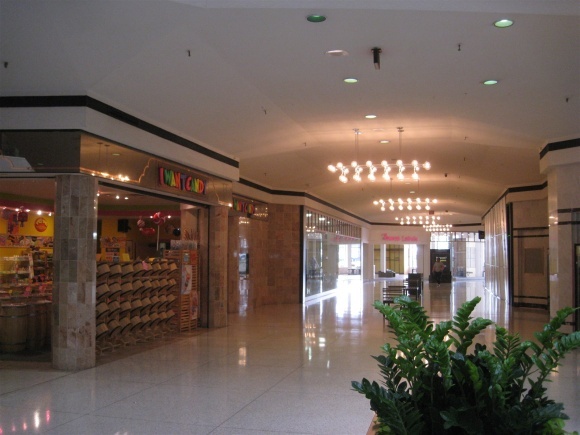 During the 1970s, little changed at Oakland Mall as other centers were built in and around metro Detroit. Wrigley Supermarket closed and was converted to a JCPenney in the late 1970s, and the mall remained a simple dumbbell. Meanwhile, the massive Lakeside Mall opened in 1976 just 12 miles northeast of Oakland Mall in neighboring Sterling Heights. 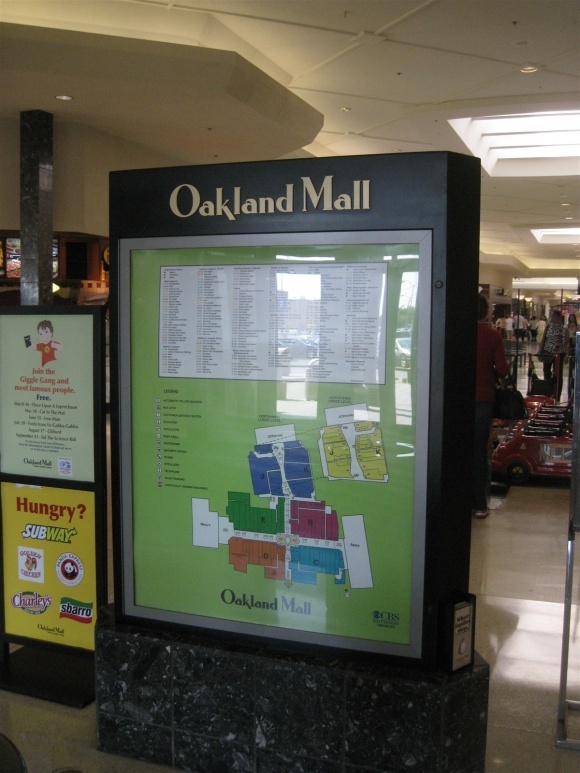 In 1980, amid pressure from competition and ample growing demands, Oakland Mall embarked on a massive expansion. 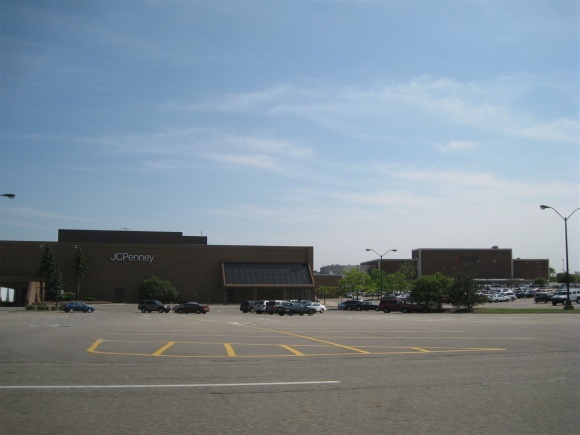 The extant JCPenney/former supermarket was demolished for a new northern wing. 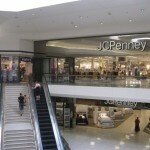 Unlike the original one-level mall, the expansion was two stories and featured a new JCPenney as well as a movie theater. This made for a rather unique setup, as the two-level expansion wing seems to miraculously sprout from the original one-level mall. 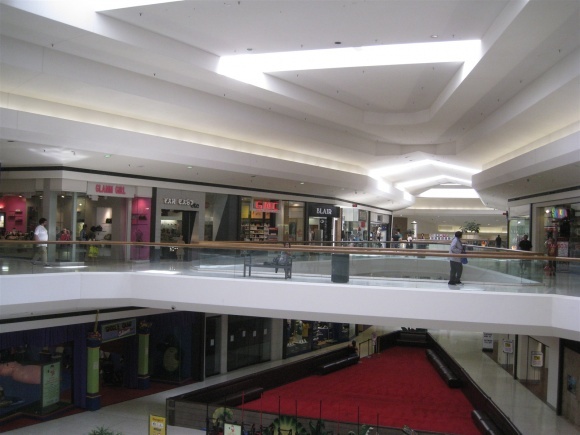 During the 1990s, competition from other centers could have put a strain on Oakland Mall, but didn’t. 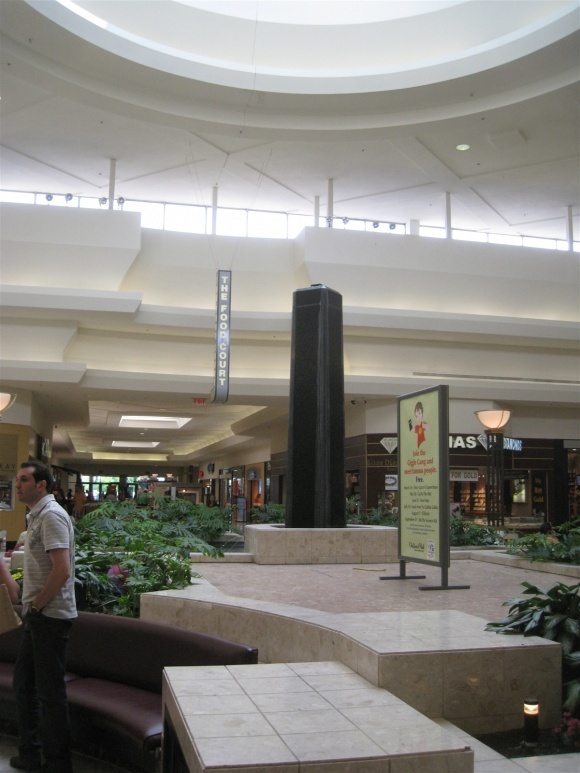 In 1996, Somerset Mall embarked on a massive expansion project, adding a new three level building across the street from the original mall, more than quadrupling the center’s size. 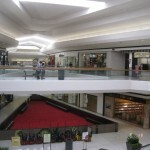 It was renamed Somerset Collection, and became the most upscale mall in the state. This repositioning didn’t hurt Oakland Mall as much as it could have, considering the two malls are only five miles apart, because Oakland Mall is positioned to be more mid-range. Instead, the malls have continued to complement one another. In 1998, major competition also came with the opening of Great Lakes Crossing, a mostly off-price/outlet mall that opened in Auburn Hills. 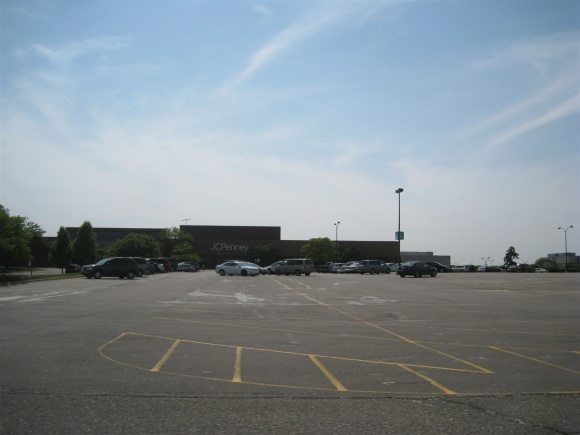 Fortunately for Oakland Mall, Great Lakes Crossing was both far enough away and not as much of a hit as expected. 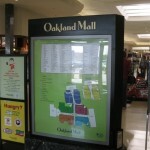 Oakland Mall’s more recent history is mostly one of anchor changes and minor updates, as the mall has continued to enjoy success amid fierce competition. 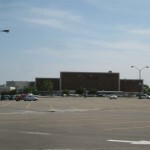 In 1987, Kresge closed, and in the late 1990s a food court was added where a former Burger King and Godfather’s Pizza stood. 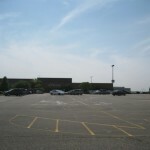 In 2000, the movie theater closed, and was later converted to Steve and Barry’s, which itself closed in 2009 only to be replaced recently by Michigan’s first Famous Labels, a similar off-price discounter. In 2001, Hudson’s became Marshall Field’s, as Target Corporation rebranded all of its main line department stores after its most famous Chicago nameplate. 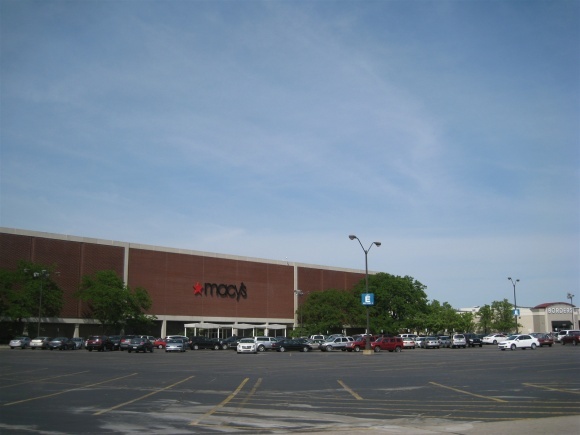 That became moot, however, in 2006, when Macy’s acquired Marshall Field’s and rebranded them as Macy’s. Also interesting to note is that in 2004 Lord and Taylor was interested in adding an anchor store at Oakland Mall, but lost interest pretty quickly in the process. This would have been an interesting addition to the mall, as L&T is significantly higher end than most of the stores here, and also curious because they already had a store at Lakeside Mall. 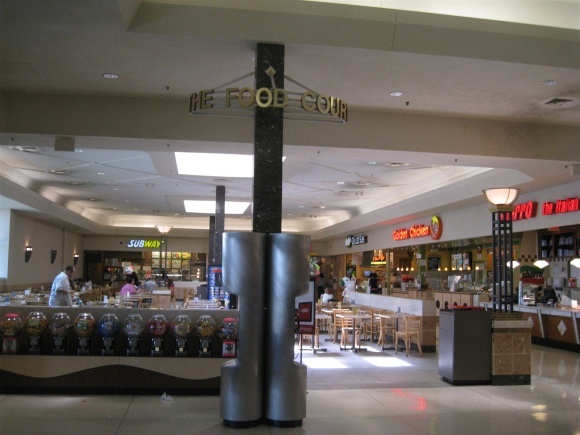 And, at the time, there was also one at Fairlane Town Center, which closed in 2006. 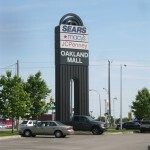 I first visited Oakland Mall in 1992, on a family trip to Michigan. 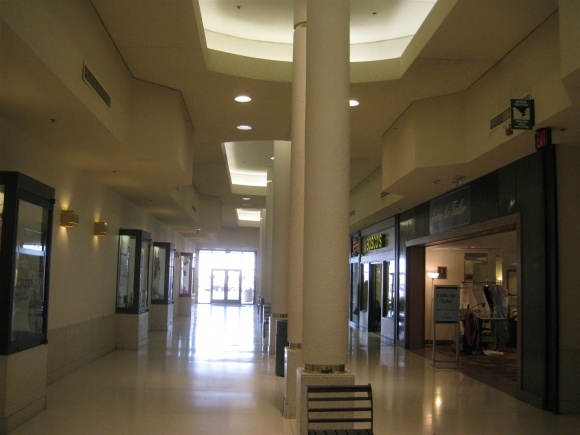 I remember seeing the old massive pylon, before it was toned down to muted modern standards later on, and I remember being fascinated that the third wing of the mall sprouted from one to two levels somewhat spontaneously from the original mall corridor. 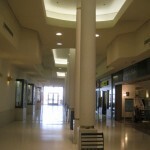 While the mall has received a few cosmetic updates, it’s been pretty much the same for over thirty years. It’s still successful, and provides a mid-market complement to the massively upscale Somerset Collection located just 5 miles away. It’s also held its own against other developments in Oakland County, and will continue to be a major player on the scene as long as it remains current. I took the pictures featured here in June 2011. What is that thing that looks like a red pyramid with a black border? Is it supposed to be a children’s play area or something like that? @jhshifris, That’s what it looks like. Who owns Oakland Mall? Somerset Collection is owned by The Forbs Company in Southfield. 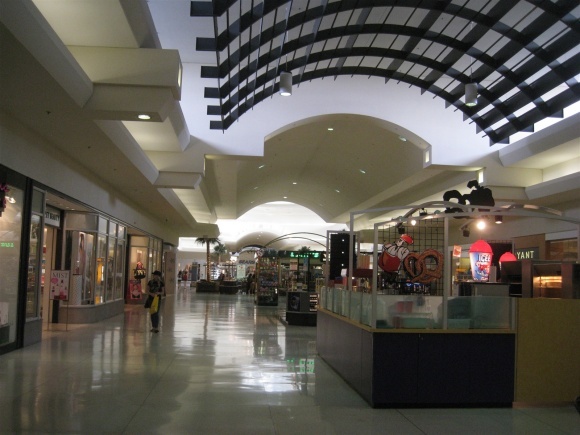 Forbs owns five malls & two of those are joint ventures with Taubman. @SEAN, It was four properties. 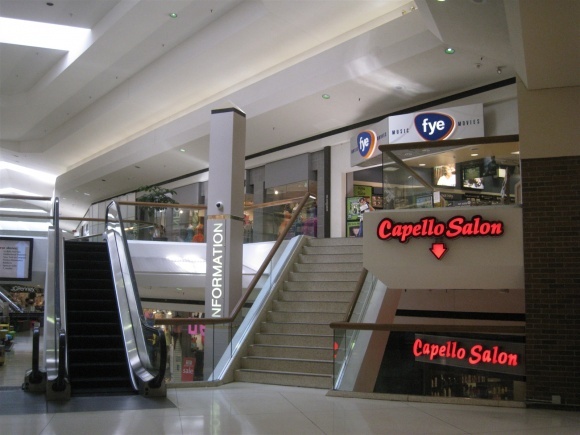 This is a rhetorical question, but why is it that the successful malls featured on Labelscar are often really bland, while the ones with the gorgeous detailing and classic design features are invariably destined to go the way of the dodo? It makes my heart sink! @The Londoneer, I know it’s semes that way, but let me counter with Northpark Center, Dallas, South Coast Plaza, Coasta Mesa, Fashon Island, Irvine, Fashon Square, Scottsdale & Aventura Mall, Aventura. Yes I know they are high end centers, but that’s the way things turned out. I thaught of a few others, but the list would have been to long. Not rhetorical at all. Market demographics, trade area (and how far it reaches), bigger malls outdoing smaller / older ones…..this was especially the trend in the 1980s, smaller malls typically containing regional chains (department stores, specialty and otherwise) that have all gone out of business or folded into other bigger chains (ie: Macys), plus a myriad of other socio/economical reasons why. 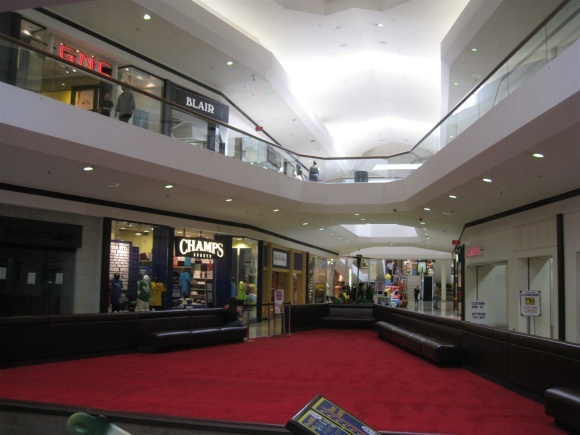 At the end of the day, people would rather go to a bland, but clean mall. 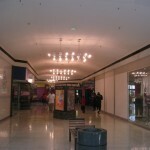 Some bland, clean white malls ARE failing though. 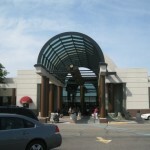 I can cite one off the top of my head…..the Charlestowne Mall in St. Charles IL Then again, that mall opened in 1990-1991. MANY malls opened in that timeframe are all dying or even dead already. It was at that point where people were heading to big boxes and this newfangled (at the time) thing called ‘outlet malls’ (which were in the boom times in those years) anyways. This had to have been a Taubman mall at one point. All the details are there. @Steven Swain, Actually wasn’t. The Kogan Companies was the developer. 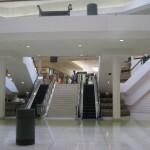 @Bobby P., Funny, I had the same thought at Steven that maybe this was constructed as a Taubman mall. I guess then locally, only Fairlane Town Center and Somerset Collection were malls Taubman at minimum built jointly with another developer, if they weren’t totally behind either mall themself? @Marty, Somerset was developed by Forbes/Cohen. 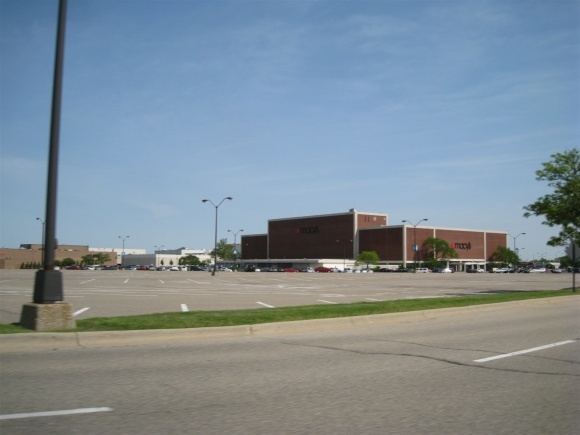 Did the 1980 expansion designers design both the JCPenney expansion and Lakeside/Fairlane? 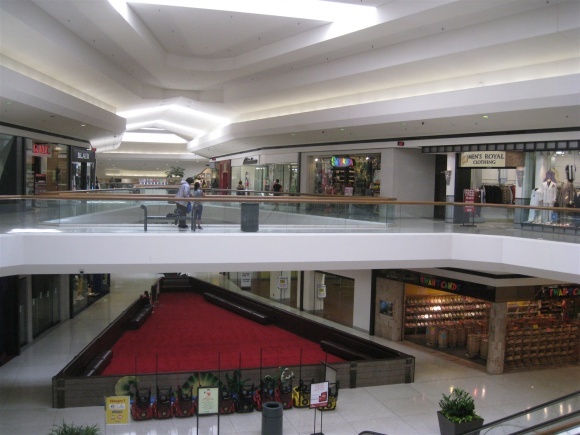 Whether or not Taubman ever had full ownership of the mall, they were definitely involved at at least some point the two level addition was added on. I agree with Steven Swain. Hell, that “Information” pylon looks ripped right out of Woodfield. 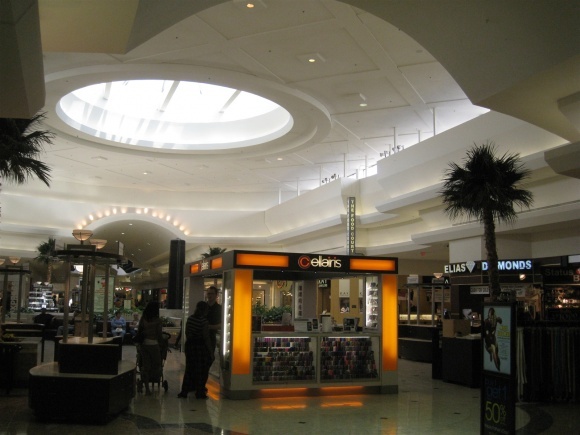 @alpha, Could it be that Taubman did some design & consulting work at Oakland Mall? 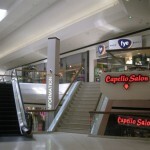 Perhaps when Woodfield was built Taubman used the same sign company as Oakland Mall did. 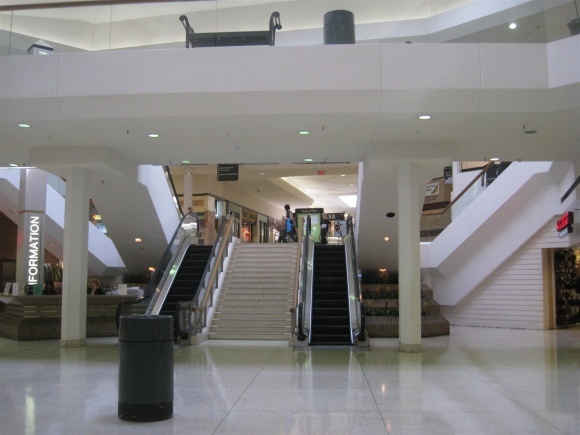 If you look at the photo of the escalators with the wide staircase in between, that was a common design element of malls & department stores of the late 50s through the early 70s & was replicated here, (Photo 26.) Caldor in Port Chester NY, Gimble’s in Garden City Ny & Kings Plaza in Brooklyn had this feature. 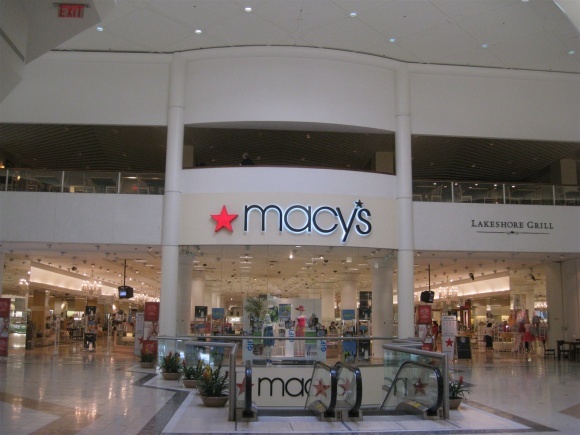 There’s a Macy’s both here and at the Somerset Collection? What’s the deal with that? 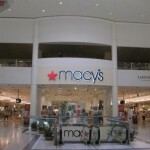 Are the Macy’s at the two geared toward different clienteles? @Steve S., A little bit, yes. @Steve S., Yes I believe they do. Somerset Collection serves a demographic similar to Northpark in Dallas, South Coast Plaza in Coasta Mesa or The Mall at Short Hills. 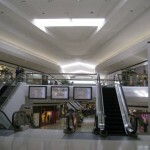 Oakland Mall serves a more middle class demographic, but has something going fore it & that’s the fact that it is in troy. White Plains NY is similar to Troy in that it has a corporate base & has two successful malls serving different demos The Westchester & The Galleria. The former is inline with Somerset while the latter is comperable to Oakland. 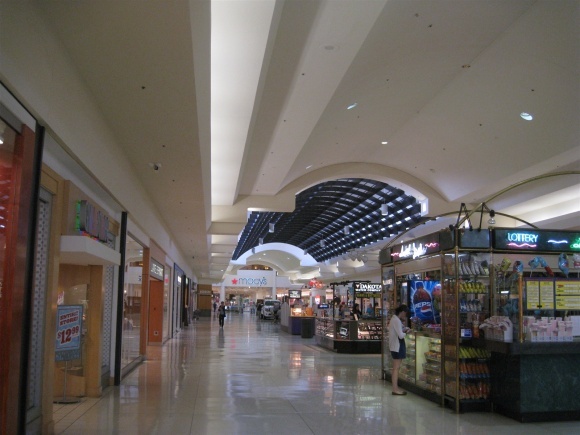 This looks like a Taubman mall…it shares many elements with Short Hills, Fair Oaks and Stamford Town Center. I assume Oakland Mall is fountainless? 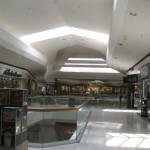 @mallguy, Oakland Mall absolutely has that Taubman look to it. As for it being fountainless, that’s water under the bridge at this point. @SEAN, Speaking of Taubman and fountains, Short Hills recently took out one of their fountains…thought they never would. How sad. @mallguy, Is it the one with the globe top near Macy’s & the Grand Court? The glass globe fountain is still there. @mallguy, Dam! I had a 50 50 shot at it & I got it wrong. Well at least it wasn’t turned into another kiosk selling that dead sea crap. 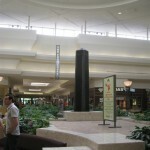 @SEAN, Still no kiosks in Short Hills Mall…glad it’s that way and I think it’ll stay that way! 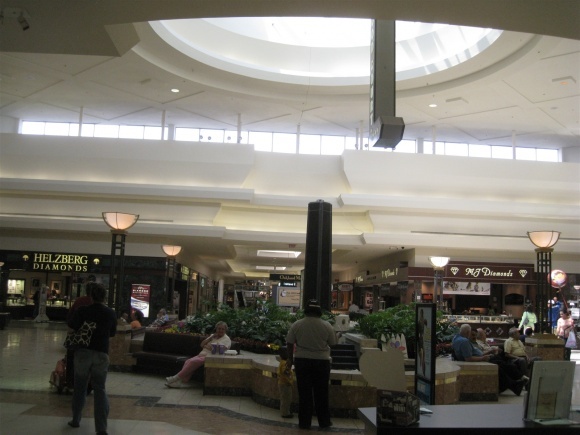 this mall was never Taubman and as you can see the main mall looks nothing like the style. The addition is actually kind of small. It probably just imitates those malls, which were brand-new and the new mall standard since 4 of them were built then, in order to look competitive and modern by 1980 standards. 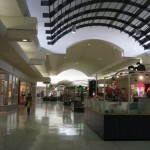 Oakland Mall has long had a cycle of declining, then bouncing back after a renovation and store changes. Right now they seem to be on a small downswing. Unfortunately, perhaps because of the ease of highway access, this mall is kinda known for theft. Never kept me away, but I’m more vigilant in the parking lot than usual. @Leslie, Briarwood and Lakeside are no longer owned by Taubman. @ohio, I realize– I was thinking of the developer , not current owner and didn’t clarify that in my comment, I should have! Not really in love with the attempted redesigning of the interiors of those malls since! Oh! They still own Fairlane, too. I should say ‘vintage Taubmans’ because I didn’t count Partridge Creek or Great Lakes Crossing. Too modern. 😉 I like the old school designs better! 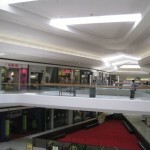 @Leslie, Fairlane has been struggling over the past few years with the loss of both Lord & Taylor & Sacks Fith Avenue. 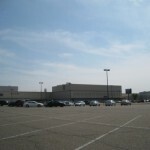 There’s little to seperate Fairlane from most other malls around Metro Detroit. Somerset Collection & twelve Oaks are the standouts. 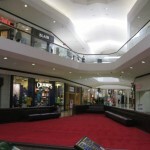 @SEAN, The main draw for me is awesome mall design and great people watching. I still love going there. @Eric, me too. It’s an ok mall, but the design is fantastic! I echo many of Leslie’s comments. For a period during the late 80s until Somerset expanded, Oakland was turning into a rather upscale mall. It still had mid market but many designers were added. On top of that, the Hudson’s was completely renovated and was the defacto flagship of the chain. It was the most upscale until the Somerset branch opened. In that way I disagree with this post. Oakland aspired to be an upscale mall since Somerset was very tiny. Things changed rapidly when the Collection opened. 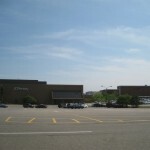 Many stores closed or moved to Somerset. Oakland has never been the same. It’s not doing terribly but it’s a far cry from its heyday. Theft isn’t helping things there either. @Marty, Heh, I don’t know if I can totally hate that, if just for the fact it has a rare neon sign with the Kohl’s logo(wow, considering the fact they normally have the boring white plastic signs on all their stores), and a neon Sears sign with the early 80s logo. Yes it isn’t the most attractive sign in the world, but I can forgive that design, if at least has neon like that on it. @Allan, Normally, I’d agree but the great sign has fallen into disrepair. It’s rusting pretty badly these days. That pic doesn’t do it justice. And as that pic shows, all the neon is rarely functional. If they restored it, I’d feel better about it but since Macomb is in foreclosure, I don’t see it happening anytime soon. 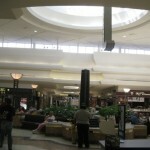 Holy crap… yes, this mall is almost a carbon copy of Woodfield! 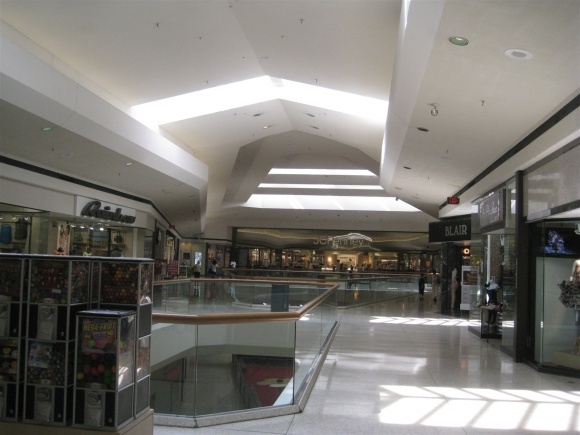 Can’t find a pic but the split level to the right of Sunglass Hut in Woodfield (with McDonald’s and Cinnabon) looks very similar. 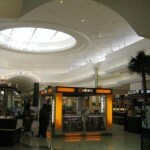 @TJ, but Taubman malls have that funky ceiling that Oakland lacks. Pretty uncanny, though. 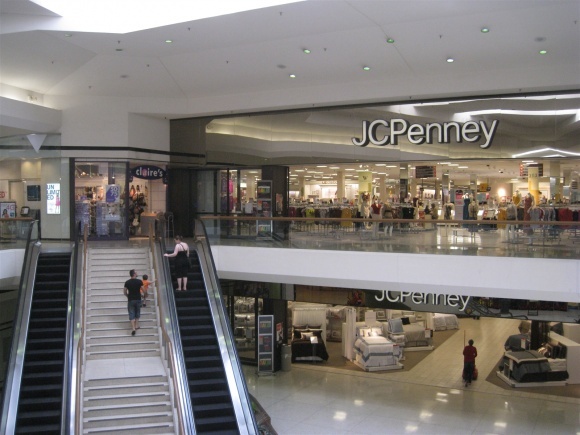 @Pseudo3D, and the JCPenney wing has the seating area behind the escalators instead of in the center too and also uses brick instead of marble. @Pseudo3D, and don’t forget the awesome glass elevator which Oakland lacks! 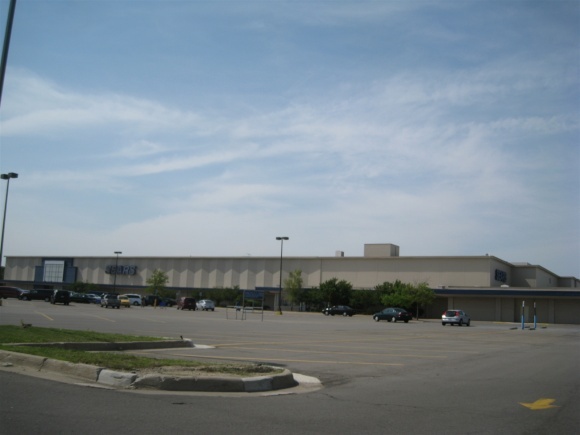 Was there a former JCPenney store in the Wrigley Supermarket space,then torn down for the expansion, or was JCPenney opened when the mall added it’s expansion in 1980? I was always told that JCPenney was in Wrigley’s building for a while. Watch out for the spin! Dearborn — After a development lull in the past few years, a bevy of homegrown and national retailers said Thursday they are looking to renovate empty stores, fill in vacant spots and relocate to growing communities in hopes of capturing Metro Detroit’s improving economic prospects. Some of the retail and restaurant chains said they are targeting parts of Detroit. Among the biggest names to announce expansion plans at the “Retail Runway” event, part of the International Council of Shopping Centers’ Michigan Idea Exchange, was Gap Inc. The apparel giant said it will bring up to three high-end athletic clothing Athleta stores to southeast Michigan next year, a part of its chain that is new to Michigan. The Gap brand had closed stores in Michigan, but the contraction is over and most of the company’s new investment will be in its outlet and Athleta properties, said Kathryn Ritter, Gap’s director of real estate in Chicago. Gap purchased former catalog retailer Athleta in 2008 and started opening stores offering women’s yoga and other athletic clothing as well as swimwear in 2011. California’s Panda Express said it is on track to open as many as six Chinese restaurants in Michigan, adding to its mall-based spots in Troy and Auburn Hills, said Real Estate manager Taeyun Kim. The company can pay cash for the right properties, Kim said. Add in up to 10 new Party City stores, as many as eight Big Lots and a half-dozen Tropical Smoothie Cafes, and you have a retail renaissance, said event organizer Jim Stokas of Stokas Bieri Real Estate. Retailers have sensed the changing atmosphere in the region thanks to the improving fortunes among the Detroit Three automakers, Stokas added. “It’s going to continue with more retailers looking into our marketplace,” he told the audience of about 300 landlords, developers and real estate experts during the hour-long presentation at The Henry hotel. In many instances, the companies did not identify particular communities where they want to locate. The runway presenters give just enough details in hopes of prompting attractive lease or real estate offers. Highlights included commitments from New York-based DiBella’s Old Fashioned Submarines to build between three to five of its sit-down restaurants following openings in Ann Arbor and Auburn Hills. Jersey Mike’s, another fast-casual submarine chain, hopes to open at least 15 locations in Michigan next year, said Joe Rybowicz, regional vice president of real estate for the New Jersey-based group. Locally, Madison Heights-based pizza chain Hungry Howie’s said it is looking for about a dozen new spots around southeast Michigan, including Detroit. Bruce F. Brock, manager of new store development, told the crowd that Hungry Howie’s had its second year of record sales, so it is ready to grow as fast as the market will bear. Brock’s presentation brought laughs and applause from the audience when he played a pizza-themed version of the popular “Made in Detroit” commercial, created by Chrysler Group LLC for Super Bowl XLV. Retailers showed greater interest in moving into Detroit, particularly the downtown and Midtown areas. 7-Eleven said it wants to locate several stores in those areas for customers looking for speed and convenience, said Michael Anderer, a senior Real Estate representative for 7-Eleven in Michigan. It also has plans to renovate existing sites to have a contemporary, coffeehouse-style image. Is that real ecconomic growth or just backfilling of empty space. DETROIT — 7-Eleven will join the number of retailers that plan to revive development in Michigan next year, reports the Detroit News. The convenience store chain plans to open 20 stores in the Metro Detroit area in 2013, including six in Detroit itself. The company wants to locate several stores in those areas for customers looking for speed and convenience, said Michael Anderer, a senior real estate representative for 7-Eleven in Michigan. Multiple national retail and restaurant chains announced plans to expand in Michigan during the recent “Retail Runway” event, part of the International Council of Shopping Centers’ Michigan Idea Exchange. Participating chains included Panda Express, subway sandwich restaurant Jersey Mike’s, Hungry Howie’s pizza and others. Retailers expressed interest in moving into Detroit, especially the downtown and midtown areas, according to the report. Wait a minute! These guys just realized that Detroit is a “donut hole”? Where have they been the past few decades. Oh, that’s right chasing rooftops in the suburbs & not giving a dam about the inner city & it’s residents. 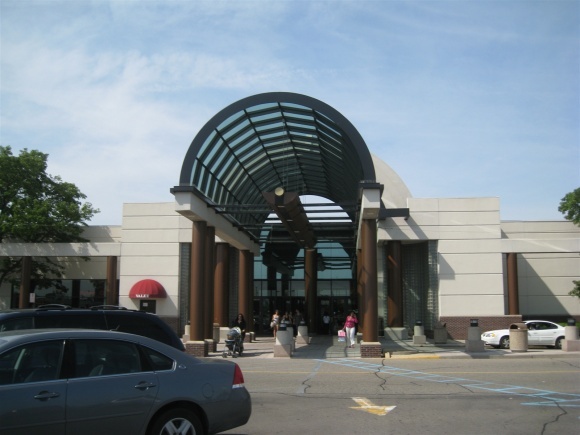 Grew up in Royal Oak, so this was my mall in my childhood. I never realized the oddness of the split-level expansion. Never studied it that closely, though I had spent most of my days there in that wing (Harmony House, Big Boy, and the UA Movies At). Often I could be found chugging away at a Frozen Coke and perusing again action figures at Kresge’s (which, for the record, was located in the east wing only a few storefronts from Sears). Having moved to the far-flung ‘burbs (near Rochester) in the late 60s, spanking new Oakland was the nearest big-name shopping center to us. As a kid, traveling the 15 miles to the Mall was like an exciting “field trip”. 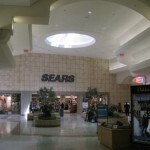 The original center had the existing Sears on the east end and Hudson’s on the west. There was a short north wing with a Wrigley’s supermarket at the end (the north wing was extended longer and made two-levels when JCPennney was added years later). The Hudson’s store was the 4th largest in the chain (after the flagship Downtown, Northland, and Eastland). None of the subsequent Hudson’s built after Oakland would be larger. 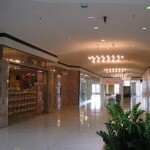 At one time there was a separate stairway directly from the mall into Hudson’s Budget Store (the basement) just to the south of the main mall-front entrance to the store. Albert’s. Highland Appliance (or was it Fretter’s?) was across 14 Mile Rd and a Farrell’s ice cream parlor opened in the parking lot on the north side of 14 Mile in the early 70’s. My mom’s first job after being married was at Winkelman’s Oakland during the evening shift (5-closing). I also recall thinking how cosmopolitan and stylish it was to eat at the Hudson’s “Terrace” restauarant on the 2nd floor overlooking the mall below. Around ’76-’77 Grinnell’s (music/electronics store) displayed the first retail VCR, the Sony Betamax. I think it ran about $1200, which-in today’s dollars-would probably be in the 5 figures! In HS, once I got my license, Oakland served as my sanctuary from the relentless taunting & teasing of classmates. I escaped into my fantasy world of music and travel, spending hours perusing books about NYC & LA at B. Dalton–fantasizing I would someday live in the big city. Then heading to Hudson’s 3rd floor, Sears & Grinnell’s to view the latest Streisand, Minnelli, and show LPs (connecting the dots, yet?). 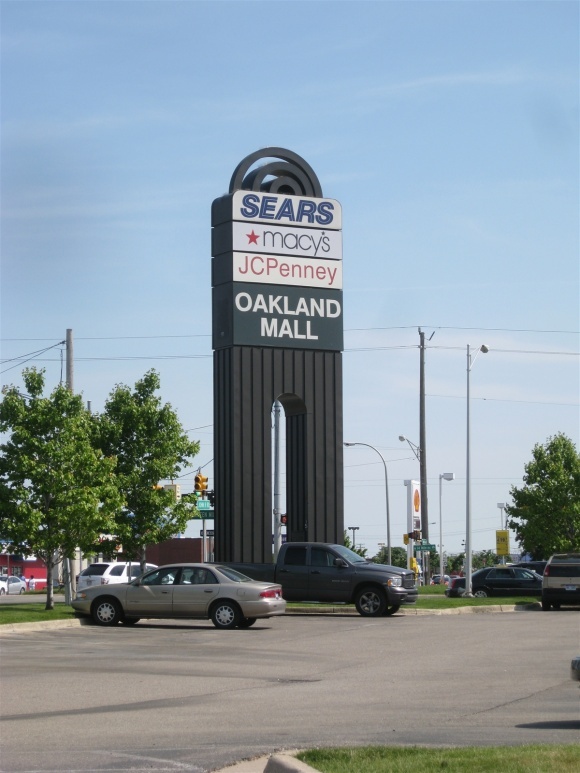 Having left Detroit for LA decades years ago and also traveling extensively, I still humbly recall those days at Oakland Mall and how formative they were to my life today. 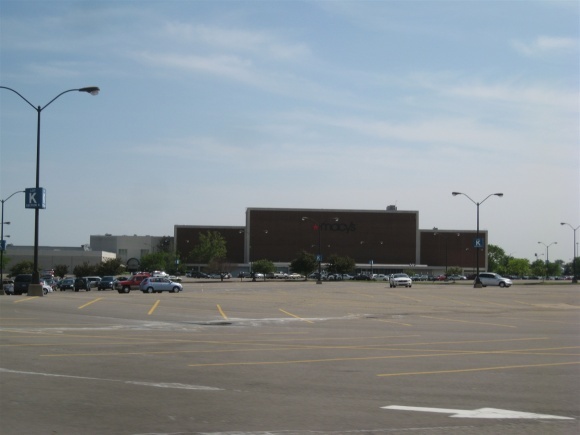 ROSEVILLE, MI—West Bloomfield, Mich.-based Lormax Stern, known for turning around troubled retail in Michigan, has purchased Macomb Mall here at 32233 Gratiot Ave. for an undisclosed amount. 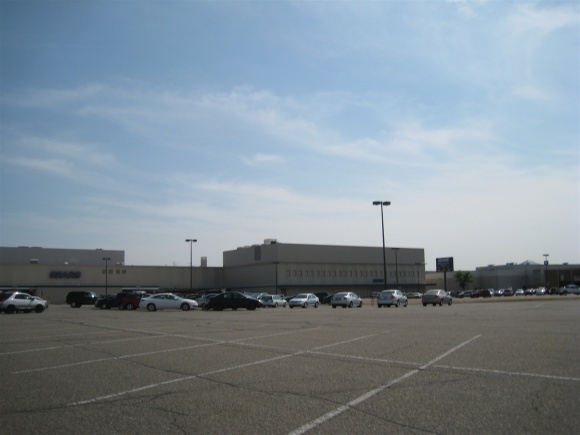 Developed in 1964, the 921,000-sq.-ft. Macomb Mall is the largest indoor mall serving south Macomb County, following the demise of Universal Mall in Warren, Mich. 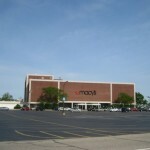 Anchors at Macomb Mall include Sears, Kohl’s, Old Navy and Babies “R” Us, with the former Value City space now vacant. 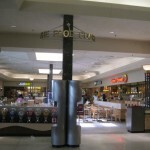 The property also features more than 85 specialty stores, including Aéropostale, American Eagle Outfitters, Bath & Body Works, Charlotte Russe, Helzberg Diamonds, and a plethora of food and beverage options, like National Coney Island and Olga’s Kitchen.The new owners plan renovations to the single-story building that are expected to include a wide array of interior and exterior upgrades. Renovation details will be released at a later date, according to a company statement. Director of Operations Karl Zarbo said local residents support keeping the property open, after it nearly closed when former owner Thor Equities missed one of its loan payments. “We believe that with such an outstanding mix of retailers and restaurants, along with the center’s prime location, we will be able to fill existing vacancies and the one anchor tenant position in a short period of time. The demand is there,” Zarbo said in the statement. The retail real estate investment trust – Taubman Centers Inc. – has agreed to sell 7 malls to Starwood Capital Group, through a controlled affiliate, in a transaction valued at $1.4 billion. 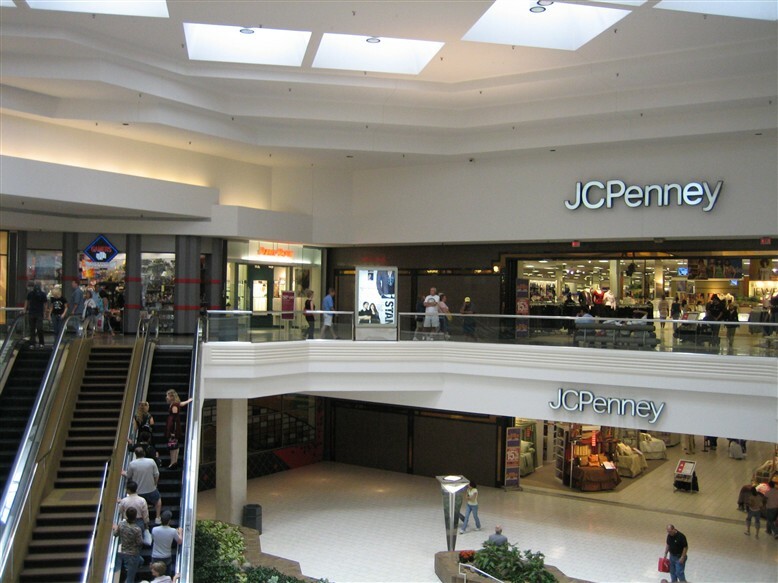 The move comes as Taubman capitalizes on the rising interest of investors in premium region malls and focuses on capital recycling. 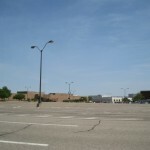 A definitive agreement has already been signed for these 7 malls, which comprise – MacArthur Center (Norfolk, VA), Stony Point Fashion Park (Richmond, VA), Northlake Mall (Charlotte, NC), The Mall at Wellington Green (Wellington, FL), The Shops at Willow Bend (Plano, TX), The Mall at Partridge Creek (Clinton Township, MI) and Fairlane Town Center (Dearborn, MI). The deal already received the nod from Taubman Centers’ board of directors and is conditioned upon normal closing norms. It is expected to close in the fourth quarter of this year. The deal is a win-win situation for both Taubman and Starwood. On one hand, Taubman would recycle the capital and enhance its NOI growth rate. The company, which reported mall tenant sales per square foot of $721 in 2013, projects a rise in its mall tenant sales by over $100 per square foot following the deal closure. Moreover, its development and redevelopment pipeline are expected to get a boost and be a notable contributor to its growth. On the other hand, it would enrich Starwood and its retail operating platform, Starwood Retail Partners (SRP). Particularly, it would enhance SRP’s retail portfolio to 28 properties spanning 26.8 million square feet across 15 states. Notably, this consideration of $1.405 billion (prior to transaction expenses) comprises $785 million in cash and $620 million in property-level debt, which the buyer would repay or assume at closing. Going forward, we believe that the asset dispositions are a strategic fit as they provide the dry powder to invest in Taubman’s other growth initiatives. The company is well poised to ride on the growth trajectory with its solid development and redevelopment pipeline. However, Taubman’s ongoing disposition spree weighs upon the near-term earnings.